ForumCoin • View topic - Keeping Paying Guests Is A Good Business In Big Cities! Keeping Paying Guests Is A Good Business In Big Cities! In India people especially bit elder people are keeping Paying guests to make some money along with getting some good companions too to have some help from them. This business is a big success in big Cities where the students, working ladies and other people who love to live in homely atmosphere are the people who are keen to become paying guests. How about this business in and near the area you stay? Is this a good business of making passive money? Re: Keeping Paying Guests Is A Good Business In Big Cities! Not only in bigger cities it's popular in smaller cities and towns especially those who have accommodations nearing college campuses. I agree with the statement that "Paying Guest" is a good business in India but if you look at the flip side the elderly people need to be very careful since the demands of the younger lot is changing too fast. beside the elderly people find it difficult to cater to the needs of their guests. So my suggestion is to limit their tenancy to "paying guest with no meals". I think AirBNB is already in india. And it can pay a lot better if you ask me. I have learned that if you have house or say flat then it's definitely worth going for as well. 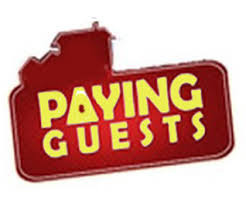 suny wrote: I agree with the statement that "Paying Guest" is a good business in India but if you look at the flip side the elderly people need to be very careful since the demands of the younger lot is changing too fast. beside the elderly people find it difficult to cater to the needs of their guests. So my suggestion is to limit their tenancy to "paying guest with no meals". Yes,today the life style of younger lot has become too fast and they are in a state of confusion. They want to adopt western culture while sticking to the Indian culture. So this may create confusion and bit annoyance in the elderly people who wants to have these youngsters as Paying Guests. Since they can get food ordered online these people can be accomodated as paying guests with no meals. We have tenants but they are not paying guests and are quite friendly with us and is a good way to make money by utilizing the extra space in our houses. They can do their cooking on their own if they find it economical. Beside most places have meals services provided by "Home made food catering to this specific purpose by women/men in almost every society". This service keeps the rates down to reasonable limit beside the customer gets home made food on a reasonable rates (in the range of INR30-50) depending on quality and number of food items. This service provides livelihood to women/men working from their own home. This service is available either at food maker's home or they deliver it to the customer's place. I have seen that there are some of the people who have like big apartment they give on such airbnb lease. And it works out for them. skysnap wrote: I have seen that there are some of the people who have like big apartment they give on such airbnb lease. And it works out for them. It works in metros and places of tourists' interest but paying guest is common in almost all cities and towns where mostly students and out-station single workers come for education or job. I agree with JASPREET, providing food from home or at home has become a very good business for many of late. I know in every locality one can get home made food at very economical prices. suny wrote: I agree with JASPREET, providing food from home or at home has become a very good business for many of late. I know in every locality one can get home made food at very economical prices. That is very true and that reduces the burden of the Owners and also on the PG as the PGs can get their daily food as per their choice and as and when they require! Is this similar to the stay-in tourism that we have here in the rural areas? A tourist can rent a room in a home instead of staying in the hotel. Over here it is not comfortable for a home to have guests especially strangers. Yes in such context food suppliers can be profitable too. I have seen that working out for many students. That is so true...one can make good money by providing them neat and clean premises along with providing them with good food! As said by Sunny , regarding the food part it may be better leave up to them so that they can have their choice of food! Forum For U • Total Clicks: 51,731 • Total Links: 38 • Add Your Link!